I just can’t help myself … I’m a sucker for stylish cosmetics (provided they’re not tested on animals of course!). Unfortunately the well-styled products generally come with a luxury price tag however, and as much as I try to tell myself that they do the same thing as the cheaper brands the packaging gets me every time. Molton Brown, Murchison-Hume and Aesop with their gorgeous products and chic packaging have all long been the objects of my affections – however I have a new lux-crush in the form of an Australian-based skin care brand called Grown Alchemist. 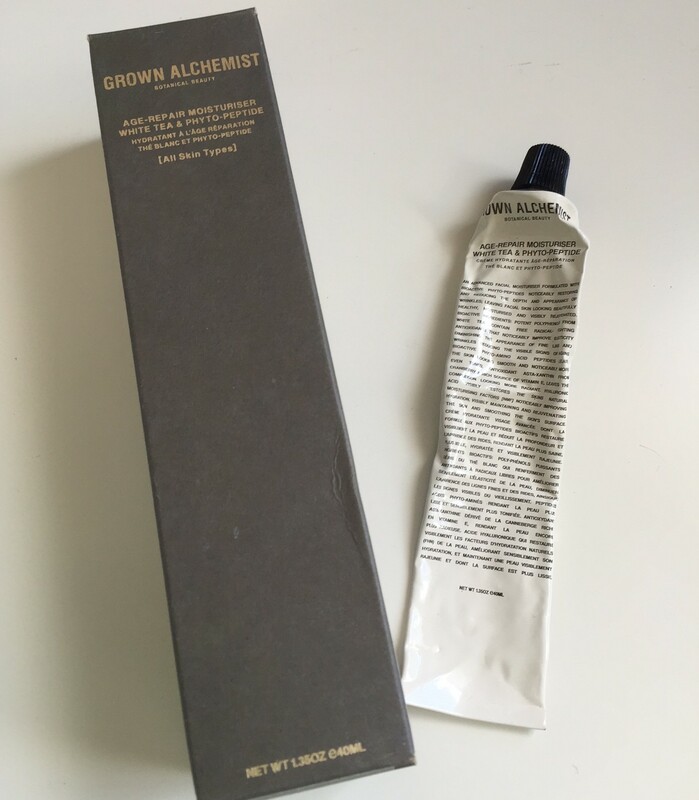 Not only does Grown Alchemist look gorgeous – I adore the vintage-styled simplicity of their packaging – it is also backed by some serious science and product development. Crucially for me neither their products or ingredients are tested on animals and – since plastic packaging can leach nasty chemicals into the products they contain – they also use lined-aluminium tubes and glass bottles for packaging. This brand has it all – and I’m seriously in love, however as much as I’d love to buy every product in the range I’ve had to restrain myself a little as the price points are quite high. When I’m trialling a new brand I normally start with a moisturiser – so I selected the Grown Alchemist Age Repair Moisturiser ($69.95 for 40ml) as the first product to review. Without doubt this is truly one of the most beautiful moisturisers that I have ever used. 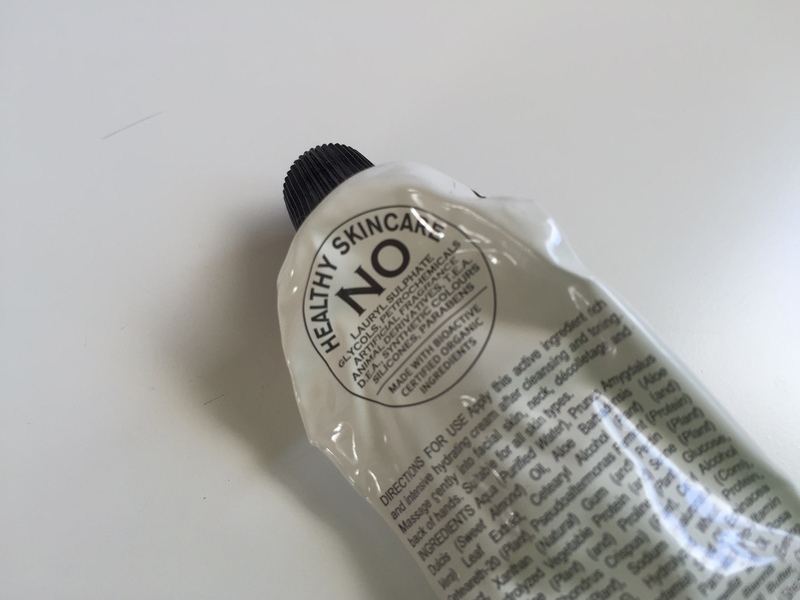 The formulation of the product was actually lighter than I had expected, however I found it literally glided across my skin. And, as I massaged it in it quickly absorbed leaving a dry finish, and my skin feeling super soft and wonderfully hydrated. I forgot to take pictures of the ‘before’ – but as you can see I’ve squeezed every last drop out of this tube, I can’t get enough of it. I can’t wait to trial more of the Grown Alchemist products – the Polishing Facial Exfoliant and Age Repair Eye Care are next on my list. The only downside to this brand is the price range (although I completely understand that this is how they are able to use the best ingredients) – however I’d recommend keeping an eye out at David Jones as they often seem to have great discounts.